In the year since his League party came to shared power in Italy, Matteo Salvini has shifted his nation’s policies and outlook to the Right. Now, the firebrand politician is intent on creating a pan-European right-wing alliance — one that will use the upcoming European Parliament elections at the end of May to shift thinking and policy at the European Union (EU) to the Right. 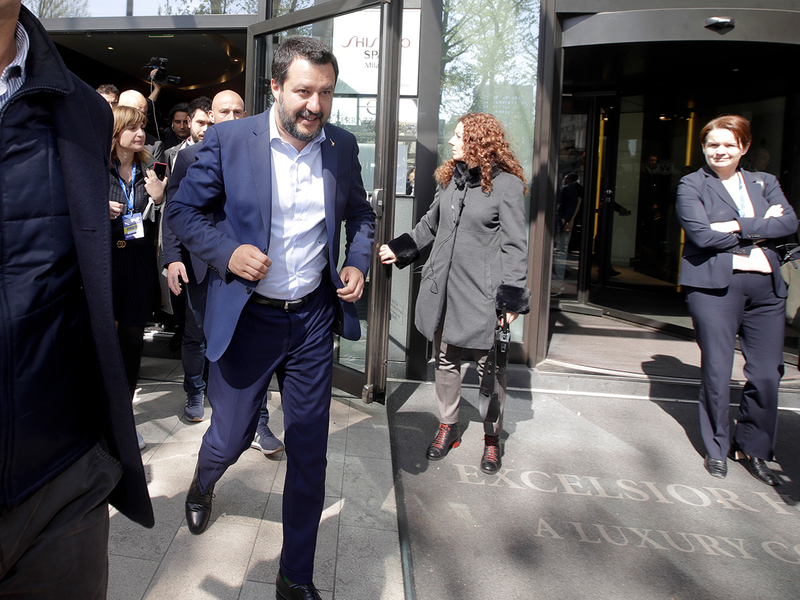 Speaking in Milan on Monday, Salvini — Italy’s Interior Minister, but who is viewed by many of his nation’s citizens as its de facto leader — launched a campaign to create a right wing “vision of Europe for the next 50 years”. To win we had to unite Italy, now we will have to unite Europe. I’m thinking about a League of the Leagues of Europe. Between May 23 and 26, voters across the remaining 27 nations of the EU will elect 705 MEPs to the European Parliament in Strasbourg. That parliament drafts and passes EU laws, shapes its budget in conjunction with the EU heads of government, and elects the European Commission — the cabinet-like structure that runs the EU’s day-to-day activities. 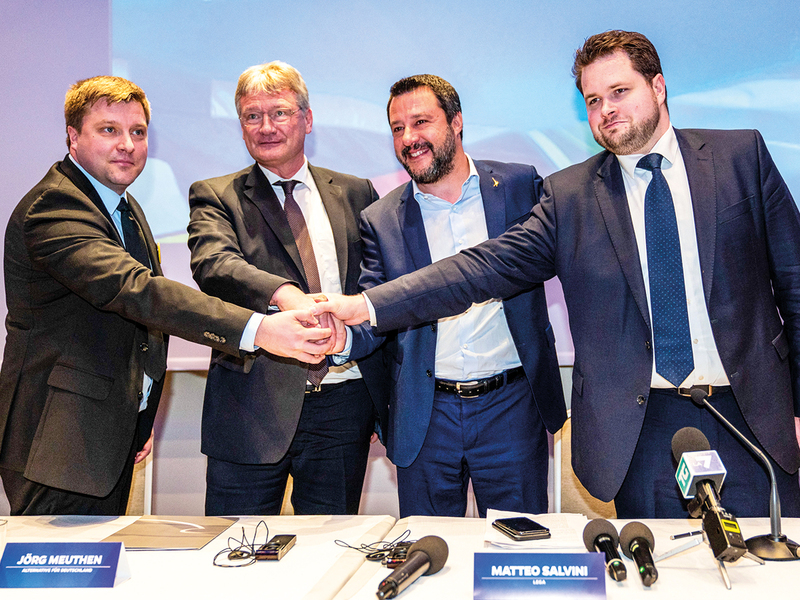 Monday’s announcement was considered to be the launch of that platform, with Salvini joined on stage by two right-wing MEPS — Jorg Meuthen of the Alternative for Germany and Anders Vistisen of the Danish People’s party. Salvini has become Italy’s most powerful politician since being appointed deputy prime minister last year, and his right-wing coalition has been making major gains in domestic elections. 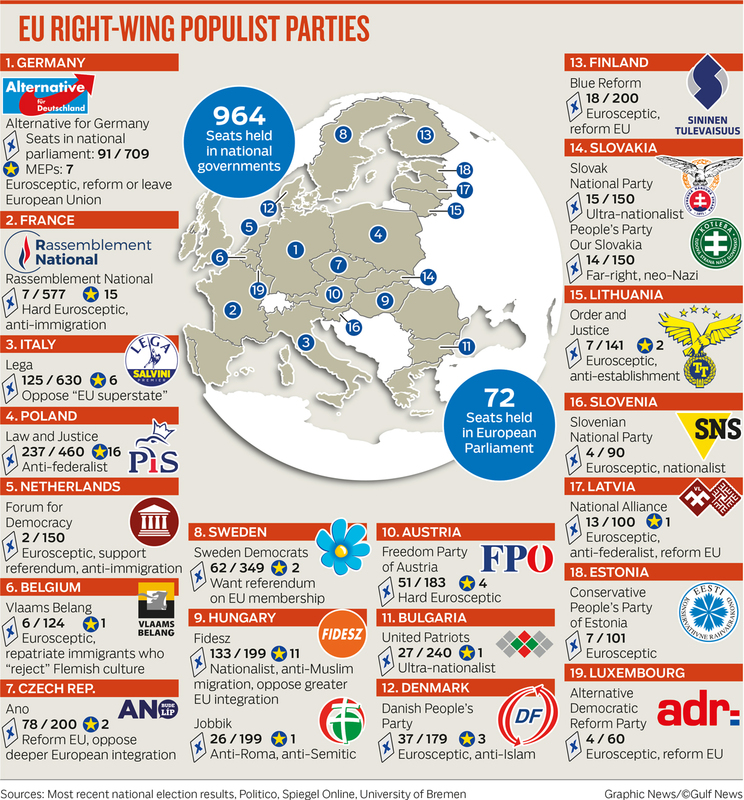 Salvini’s League, Marine Le Pen’s National Rally, and the Freedom party in Austria are all expected to do well at the elections, boosting the number of far-right, populist MEPs. The big question, however, is whether all these parties can put aside differences on issues such as EU budget distribution and relations with Russia, and unite into a bloc that could have a real influence on the parliament in Strasbourg. Salvini’s government has been at loggerheads with the European Commission because Italy’s proposed budget exceeded EU spending and deficit limits, and he opposes plans laid out by France and Germany to reform the bloc and reform the euro, the common currency used by 19 of the EU’s remaining 27 member nations. Vistisen conceded that there were challenges in bringing together Europe’s nationalists, particularly due to divergent views over Russia, and he said part of the reason the manifesto had been left vague was so as “not to exclude anyone who potentially wants to be with us”. The manifesto of the new group will include three main points — a devolution of power from Brusselsto member states; implementation of an Australian model of migration stopping migrants at the EU’s external borders; and protection for Europe’s cultural identity. “We need to build a fortress in Europe,” Meuthen of Germany’s AfD said. The party is likely to increase its count of MEPs from its current tally of seven, if opinion polls are correct.